[SatNews] to establish a geographically diverse network of sensors that will provide persistent day/night tracking of all space objects in Earth orbit. Analytical Graphic's (AGI) experience developing SSA solutions with the launch of the Commercial Space Operations Center (ComSpOC), a new service for commercial satellite owner/operators and government space operations centers. 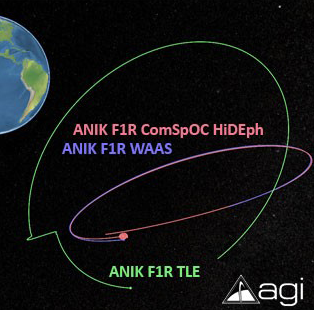 AGI is partnering with commercial, research and innovation organizations to establish a geographically diverse network of sensors that will provide persistent day/night tracking of all space objects in Earth orbit. 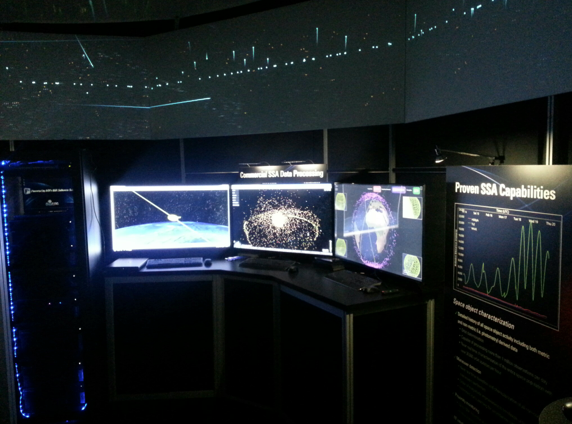 The ComSpOC processes this data to generate a wide range of SSA products delivered through “Spacebook,” a SOA-based data and analysis subscription service. ComSpOC was unveiled at the Satellite 2014 Conference in Washington, DC, March 11-13, or you can learn more at. Commercial sensing technology has evolved into an affordable, accessible and very capable alternative to traditional satellite tracking methods. Fusing and processing data obtained from this global network of optical and radio frequency (RF) sensors with AGI’s advanced commercial off-the-shelf (COTS) SSA software, the ComSpOC offers a diverse set of tracking sources and locations to provide enhanced SSA products and services. ComSpOC uses COTS SSA products that have been selected by the U.S. Air Force for the Joint Space Operations Center Mission System (JMS) program. The projected contract value for AGI selected software and maintenance is $39M through 2018. The JSpOC Mission System will replace the legacy Space Defense Operations Center (SPADOC) system and is designed to deliver integrated, net-centric Space Situational Awareness and Space Command & Control (C2) capability. “More than ever, obtaining accurate, up-to-the-minute information about the space environment your satellite is operating in is critical to assured and safe operations. Using data obtained from commercially available, affordable sensors and advanced COTS software, the ComSpOC offers more accuracy and readiness to satellite operators and intelligence analysts than other alternatives,” says Paul Graziani, AGI Chief Executive Officer. AGI software has been used since 1994 by U.S. national security organizations working in the SSA domain. Learn more at. AGI’s SSA Software Suite brings proven, accredited, modular software to JMS which is expected to reduce the program’s cost and schedule, providing commercially derived contributions to mission capabilities and performance. The SSA Software Suite is compatible with the JMS service-oriented architecture (SOA) and provides mission applications for catalog maintenance, including orbit determination, observation and maneuver processing, sensor calibration and additional mission capabilities critical to the JMS program. This open-architecture solution is delivered in a SOA designed for scalability and reliability, and integrated with a database that enables secure operations and web-based user interactions.